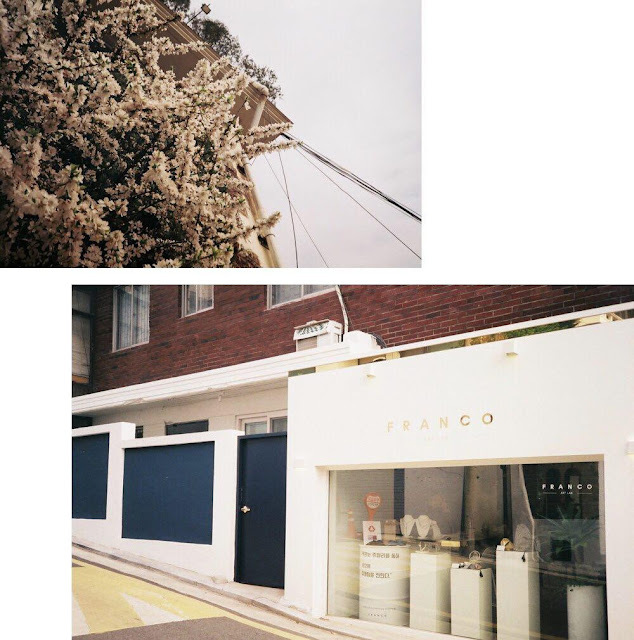 I took my Nikon L35 AD2 film camera out to play in Seoul, Korea and I finally got them developed 3 months after i'm back! I was shooting on Kodak ColorPlus 200 and the colours were a lot warmer than the Fuji's one. Photos are unedited and straight from the scans. It's my second roll and I really wished I had brought it out more often but i'm always taking out my iPhone or my Sony digital cam to snap instead. I managed to catch a little sakura on some streets before spring arrived in full force which was lucky/ unlucky (? I couldn't decide). The weather was great, shopping was fun and I really hope the next time I come back, i'll learn to love the Korean cuisine a little more. With the whole Trump-Kim summit ongoing in Singapore right now, I got reminded of my trip to Seoul, South Korea where I visited the DMZ and got a little glimpse of North Korea from the borders! The trip was made possible with FuntasticKorea (now rebranded to Indiway). You can purchase tour tickets from there and it’s a super quick and easy process. Looking at how things are now with Kim Jong-Un, I'm thinking the DMZ is soon going to be a thing of the past in the next 10-20 years? If you want to take a glimpse of it, you should take a tour there soon! It was an extremely foggy day in Spring when we visited so the pictures aren't great but hey, more reasons to visit in person right! The first stop was Imjingak Park. The park was built with the hopes that someday reunification would be possible. 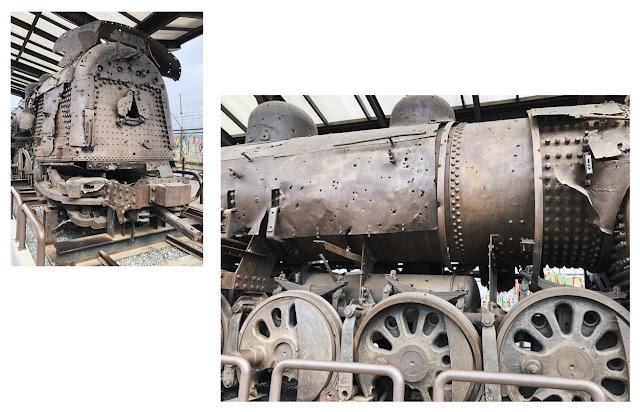 Plenty of monuments in the park - hopeful notes left by citizens, a rusty train which was used to connect the North and South and you can see the Freedom Bridge from there as well. We also went to the 3rd infiltration Tunnel - a tunnel made by the North to infiltrate the South. We took a round trip all the way down to the tunnel, right to the border of North before going back up. My favourite got to be the Dora Observatory where you can look through binoculars and get a glimpse of their Propaganda Village and it's also the place where they blast K-Pop music towards the North. The Propaganda Village is known as the Peace Village where the North claims that there are over 200 families living there but there were reports from the media saying that the village's buildings are simply empty shells with lights turning on and off at fixed timings. 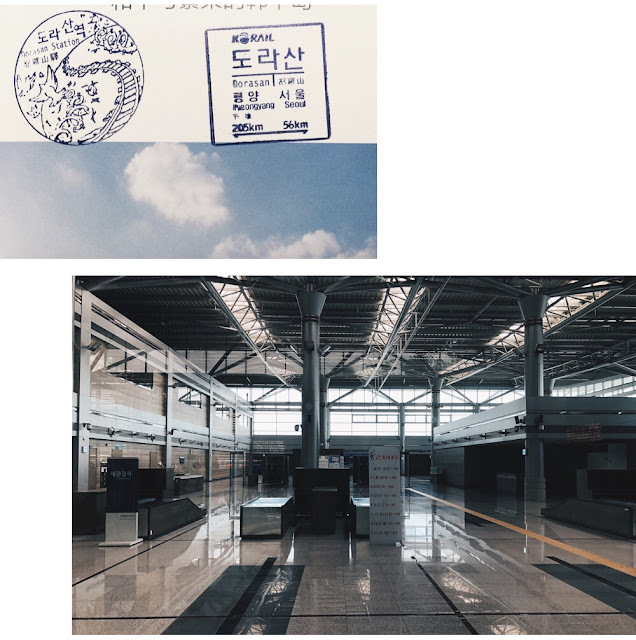 The Dorasan Station. Such a hopeful place. The station is completely functional with checkpoints and security all set up, for that one day when reunification happens, this would be the station to connect the South to the North. We passed by the Unification Village called Tongil Chon before heading back to Seoul. The village serves the same purpose as the Propaganda Village in the North. Apparently, back in the days when propaganda was effective, it was a show of wealth and to show which country is doing better by putting forth a better village. Fields of landmines on the way back. I'm not sure about you but North Korea has always been such a mysterious and intriguing country and to be so close yet so far from it was a very interesting experience. 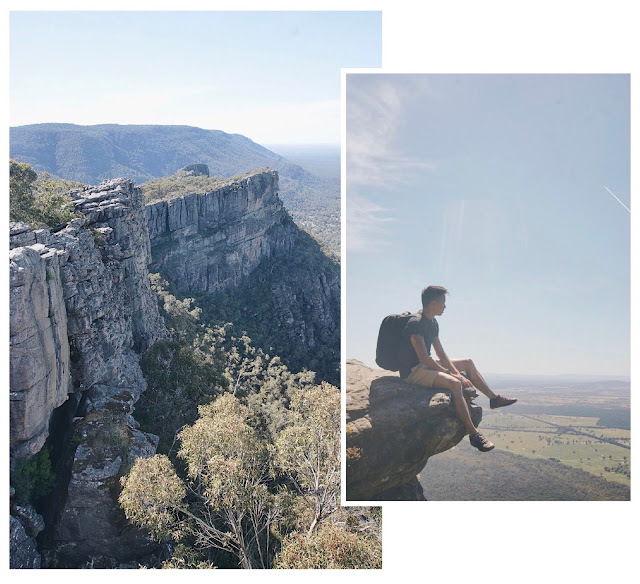 After 3 days on the Great Ocean Road, we headed up to the Grampians National Park. 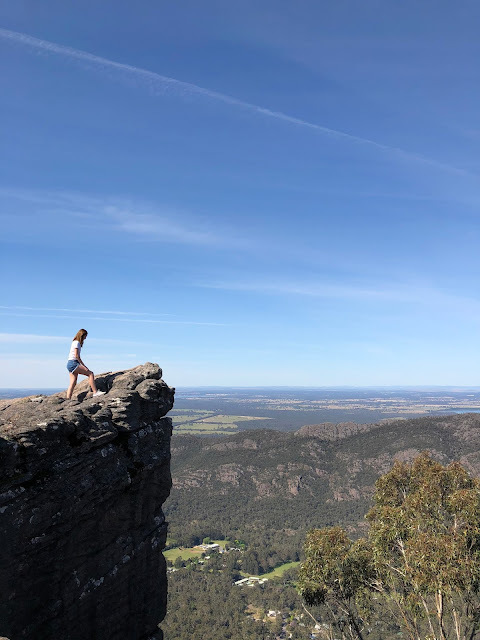 It's a 3 hour drive from Melbourne City and people usually give this spot a miss but if you're a fan of hiking and the mountains — I highly recommend the Grampians. It was such an incredible experience and we honestly wished we booked it for both nights instead but we didn't know how we felt about sharing a public washroom (which is probably the only bad thing about this glamping). The accommodation really have everything we would need for a night's stay. There's a mini fridge, plates, utensils etc. 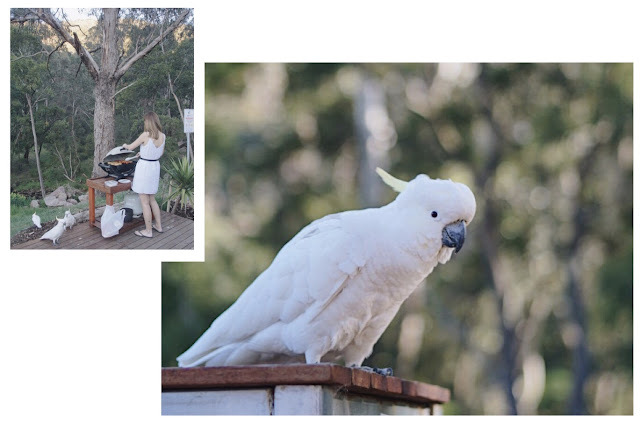 There's also a BBQ pit so of course, we bought our own groceries from a nearby store in Halls Gap and had a BBQ right there in the woods with wild cockatoos eyeing my food. The tent was a little warm and stuffy in the day but as it got cooler at sundown, they also have heater and a heated blanket. We also had the best view of the night sky with stars aplenty. We went on a couple of hikes and visited the MacKenzie Falls, Boroka Lookout, Reeds Lookout and The Balconies. Of course, the most famous trail (and the one i enjoyed the least) — The Pinnacles. You can check out where to go, what to do etc on their official site. 2 weeks flew by just like that and I hope you enjoyed your Lunar New Year celebrations as much as I did! My day one outfit was a blue floral lacy number from LoveBonito. I wanted to get something that I know I would/ can wear again for other occasions and not a qipao-esque piece that I can only wear once. Day two is when I look like a red packet hahaha. 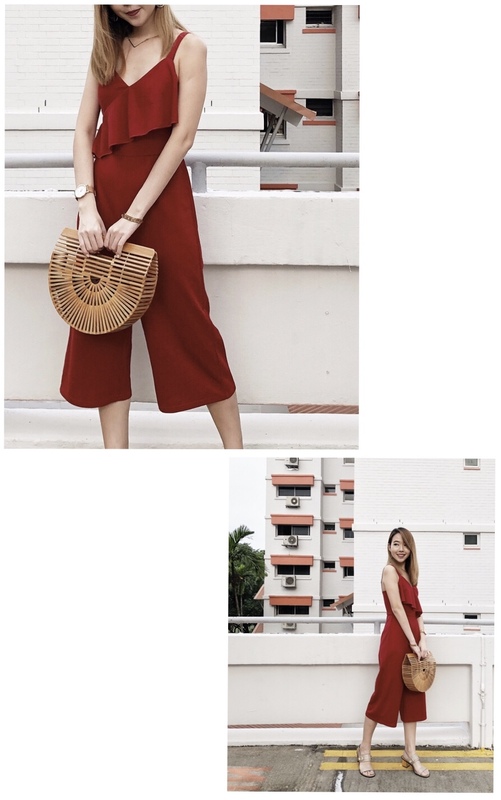 A simple jumpsuit - also from LoveBonito that I can wear again for work and casual weekend brunches. I also brought my impractical Cult Gaia bag out to play, it's such a statement piece that really amps up any outfit. I love how the criss-cross details on this Topshop skirt brings some attention to this otherwise simple outfit. 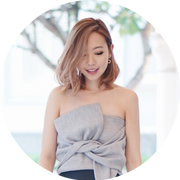 The strappy details on my Dressabelle top also make the black tank top a little more interesting. Make your outfit a little more work appropriate by throwing on a casual blazer. You can get 5% cashback and exclusive discounts from Topshop, Dressabelle and other fashion brands when you shop from Deja. You can also shop offline at a selected list of major retailers then scan your receipts to get the cashback! That's extra 5% off every time you shop. If you're one of those people who loves wearing black but think that monochrome outfits can get little boring you should be shopping on Maggiehaute. They sell mostly black and white clothing but with the most interesting designs, textures and details. And if you know me, I love my asymmetrical pieces. The top i'm wearing wraps around, secured with buttons at the front and has a belt that can be tied into a bow. Honestly could just buy everything in the store. You can get a 5% cashback and exclusive discounts from Maggiehaute and other fashion brands like Uniqlo and Topshop when you shop from Deja. You can also shop offline at a selected list of major retailers then scan your receipts to get the cashback! That's extra 5% off every time you shop. There's something glam about mermaid skirts and dresses and i'm glad this casual slip dress from Purpur has an extra oomph with that mermaid tail. I dressed it down with a pair of cream Adidas Stan Smith and matched it with complimentary tassel earrings. You can get a 5% cashback and exclusive discounts from Purpur and other fashion brands like Uniqlo and Topshop when you shop from Deja. You can also shop offline then scan your receipts to get the cashback! That's extra 5% off every time you shop.